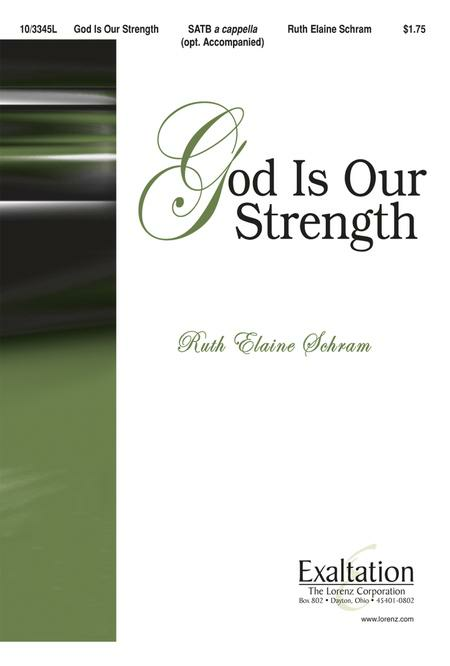 Composed by Ruth Elaine Schram. Choral. Sacred Anthem, General, Reformation. Octavo. Exaltation Publications #10/3345L. 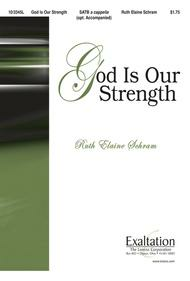 Published by Exaltation Publications (LO.10-3345L). This versatile anthem may be performed either a cappella or with the optional accompaniment. Based on Psalm 46 and incorporating Martin Luther's A Mighty Fortress Is Our God, it underscores the strong and protective nature of God, making it a perfect choice for Reformation Sunday.